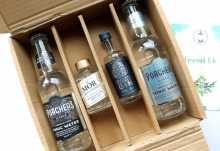 Fancy getting a selection of premium Gin and Tonics delivered to your door every month? 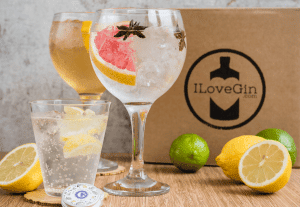 With a subscription to I Love Gin, you’ll receive just that! 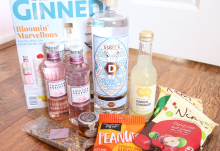 Gin is one of my favourite tipples and nothing quite beats a G&T to celebrate the weekend, so I Love Gin is the perfect solution and a great way to try out new gins and tonics. 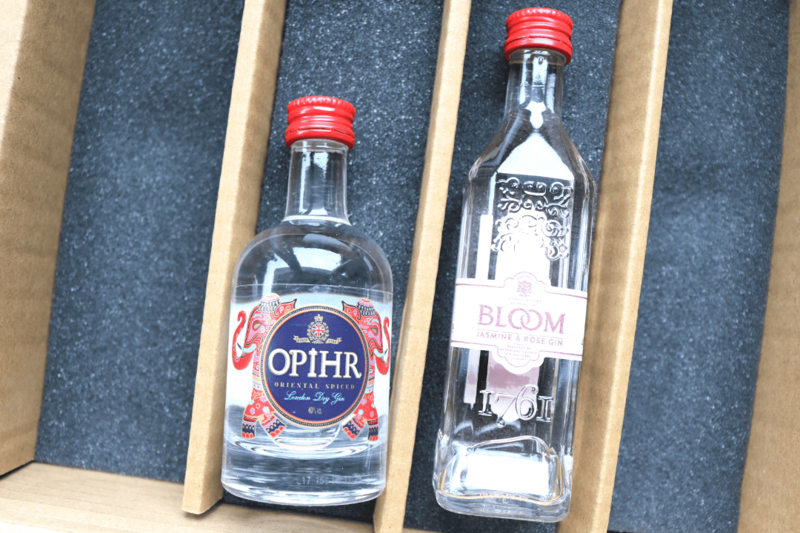 I was excited to see these two gins because I’ve wanted to try the Opihr one for a long time, and I’ve seen a lot of positive reviews online for the Bloom gins. 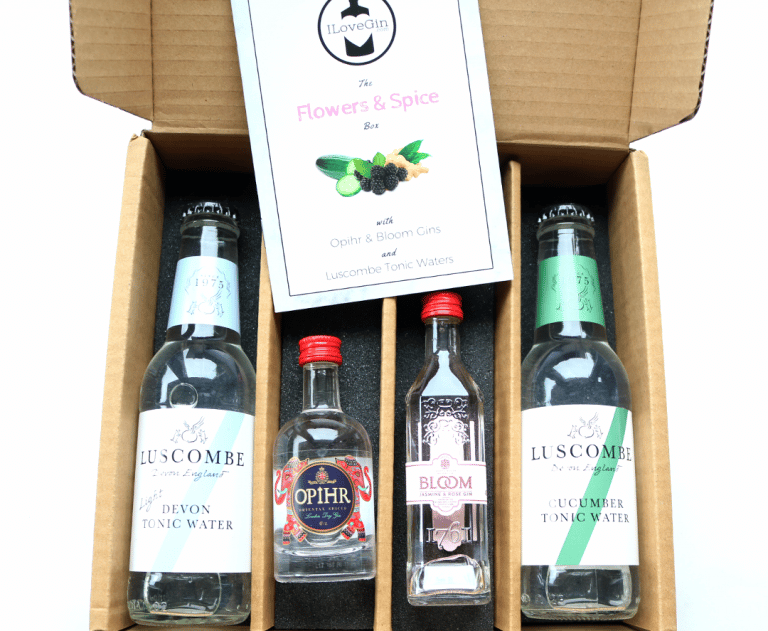 Both of these 50ml bottles will provide up to four G&T’s (together with the tonic waters), and arrived well packaged within their box. I didn’t know much about the history of Opihr but the enclosed leaflet provided some interesting info. Opihr is a legendary region that’s famed for its vast wealth and riches which prospered during the reign of King Solomon, and whilst the exact location continues to remain a mystery, it’s thought to have been based in the Orient along the ancient Spice Route. Traditionally, merchants would travel thousands of miles along the route, trading exotic spices and botanicals from distant lands. 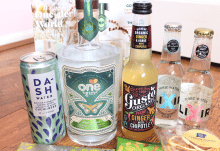 Opihr Oriental Spiced Gin takes influence from this mysterious part of history and their Master Diller, Joanne Moore, has carefully chosen a selection of exotic hand-picked botanicals to represent it. For example, in this blend are spicy Cubeb Berries from Indonesia, Black Pepper from India and Coriander from Morocco. This gin is bursting with juicy Citrus notes which are balanced with rich, earthy aromas and a gentle spice. Key notes include Cumin, Cardamom and Grapefruit Peel for a lovely spiced gin. It’s always fun to see a beautiful pink coloured gin, and this one from Bloom is a special limited edition gin that’s also created by Joanne Moore, the world’s first female Master Distiller. Using the original base recipe for Bloom Gin which includes Chamomile, Pomelo and Honeysuckle, Joanne has embellished upon this classic floral theme to create this wonderfully summery version. As the name suggests, Bloom’s Jasmine & Rose Gin features those two floral elements which not gives the gin its unique flavour, but also allows it to have an expressive and fragrant aroma. Usually, I do prefer my gins to be more on the spicy side like the Opihr above, but this one has really helped to change my mind because it tastes amazing! The mixers this month come from the English brand, Luscombe, who are based in Devon. Luscombe’s orchards have been producing fruit since 1067, and the estate has continued with its legacy by birthing Luscombe Drinks in 1975. All of Luscombe’s drinks are entirely free from concentrates, additives, preservatives, colourings, artificial flavours or enhancers. They use natural Devon spring water and have developed clean-tasting tonic waters that have subtle flavours with increased carbonation to deliver a tasty G&T every time. 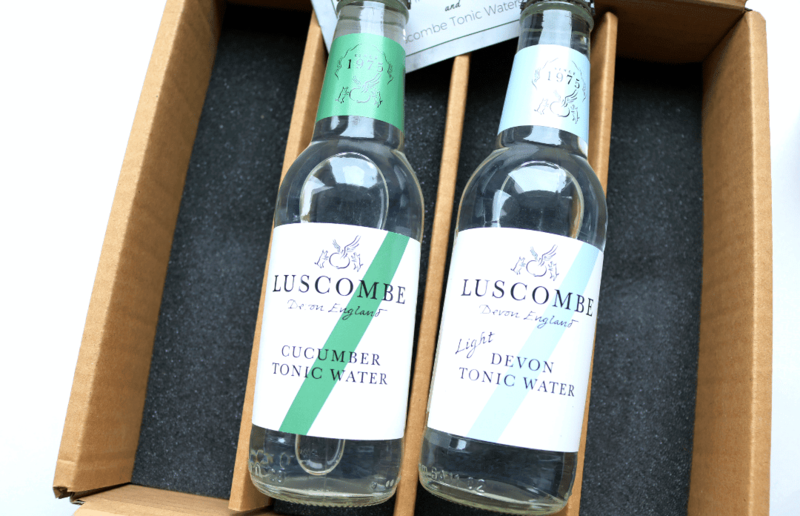 I really enjoyed trying both of these out – the Light Devon Tonic Water contains Japanese Yuzu and Indian Quinine for a classic and refreshing flavour, whilst the Cucumber Tonic Water is the latest addition to the Luscombe range and has an even more refreshing flavour with a subtle hint of mellow Cucumber to finish it off. An excellent selection this month and a lovely way to round off the taste of Summer!